The designer says the Screener leather sneakers were "influenced by classic trainers from the 70s." When you buy expensive designer clothes you want to take care of them. But there’s no need to worry when they already come dirty, right? 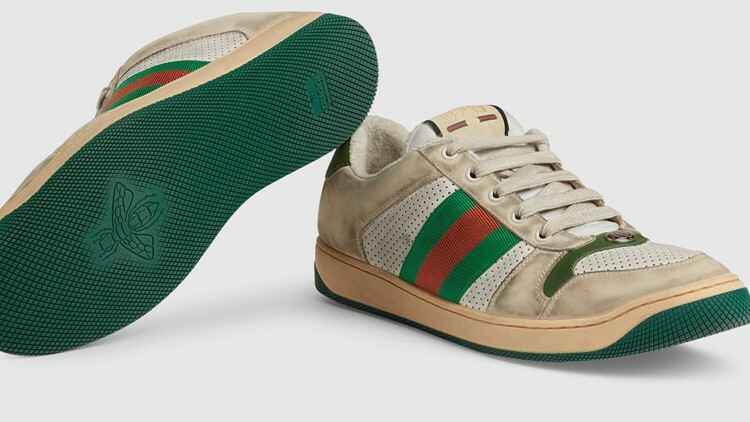 Gucci’s website still has the “Screener” leather sneaker for $870. No surprise on the cost, that’s Gucci for you. But what is surprising is the white leather already comes with a stained, off white look. Even the shoe laces look dirty. Even the insides are dirty. And the leather is pre-scuffed. There are three color variants to go with your dirty white leather, throwing in greens, oranges, reds and blues. 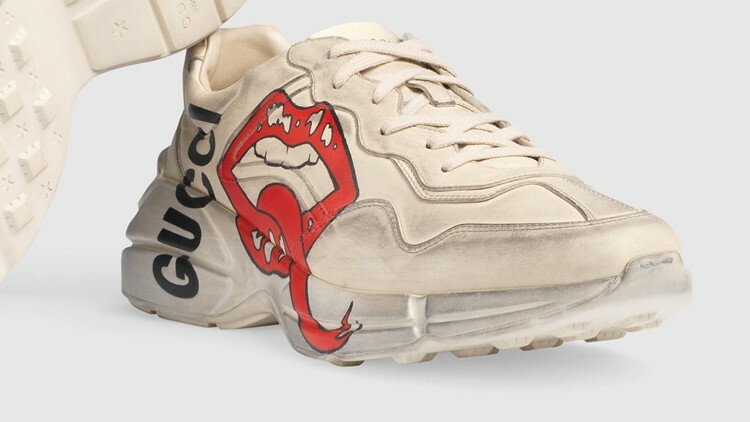 Since the shoes already look old, it makes sense they come with Gucci’s vintage logo. They also come with cleaning instructions. Yes, Gucci wants to make sure you down accidentally over clean them and wipe away the distressed look. The shoes have been widely mocked since they first appeared online months ago. "Wow. this is #capitalism at its finest," tweeted Rambler. "And here I've been giving away my old dirty sneakers to Goodwill for free," joked Jay. If the trainers aren’t your style, you can go for the Rhyton sneaker with mouth print. They’re also “pre-dirtied” and will cost you $890.